Use these keyboard shortcuts for facebook to save some time and use facebook qickly. 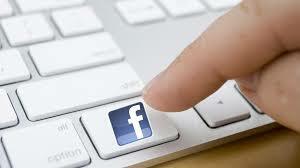 Following are the main keyboard shortcuts for facebook for different web browsers. Alt+9+Enter: Read latest Terms of Service agreement. Shift+Alt+9: Read latest Terms of Service agreement. Alt+9: Read latest Terms of Service agreement. In this way you can use keyboard shortcuts for facebook.